Home » Travel » Lunchtime Memories….. This gallery consists of a few lunchtime memories, that I did remember to capture. 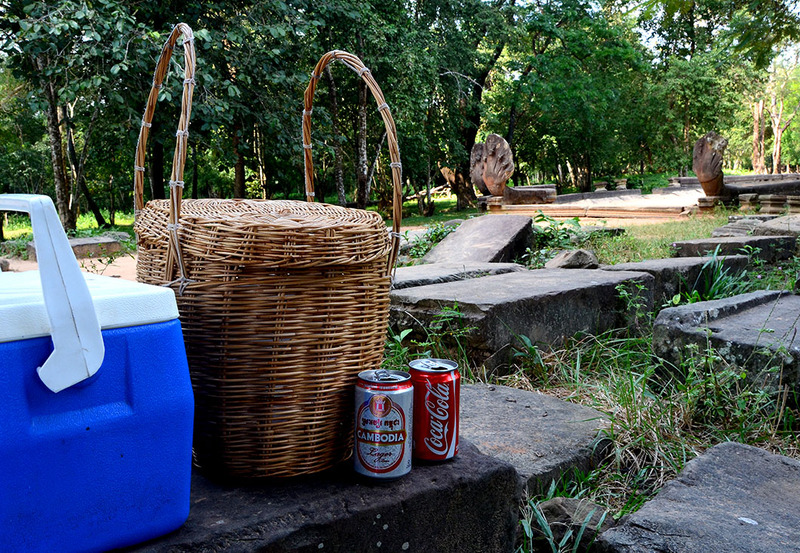 A picnic lunch outside the lost temple of Beng Malea. 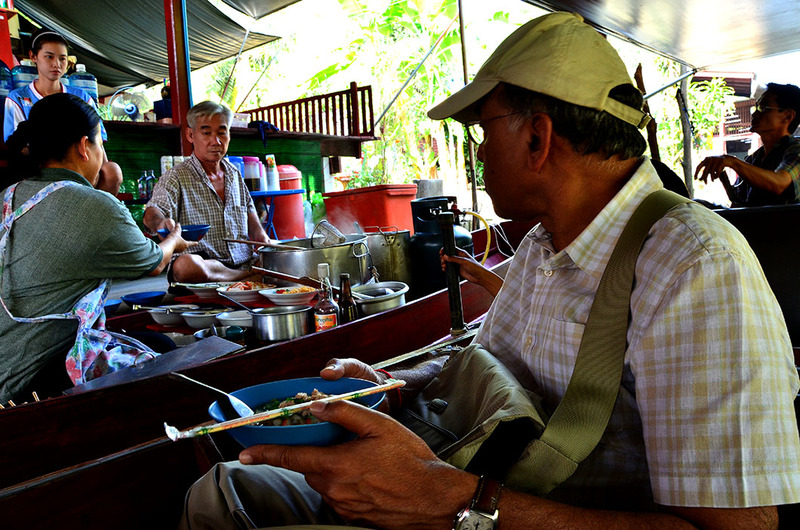 You can’t beat ancient Nagas for company! Bonus – you get to traipse through those achingly desolate ruins all by yourself! 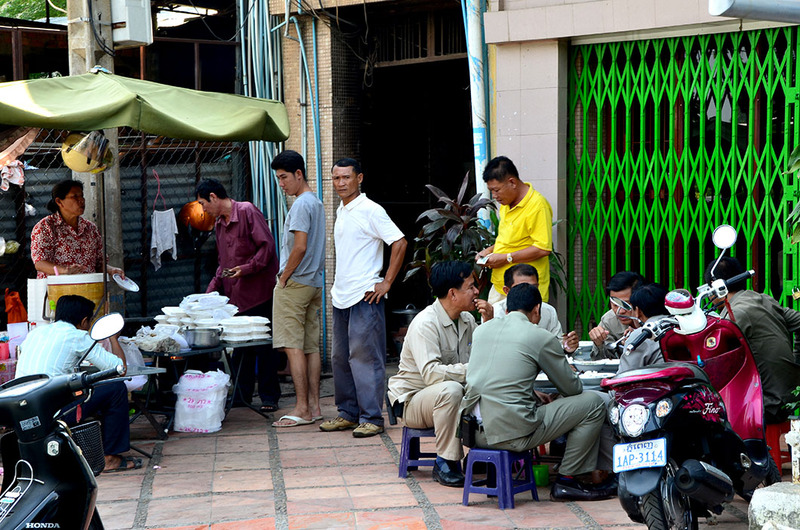 A lunchtime street scene in Phnom Penh shot from my Tuk Tuk. 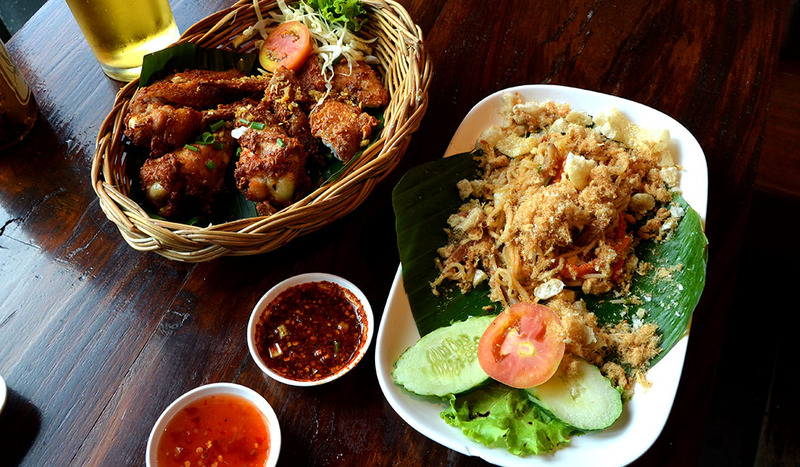 Delicious Phadthai in a charming old restaurant in Bangkok, while waiting for the crazy crowds to clear from the Royal Palace nearby. 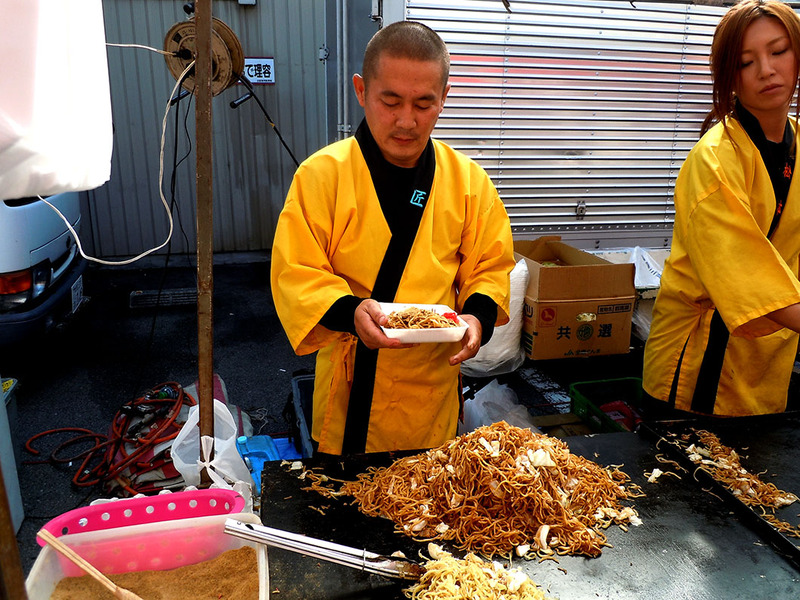 We had been hankering after some great Soba noodles, like the ones we had tasted in Osaka on our first evening, but the seaweed powder this man sprinkled over our delicious looking lunch made it inedible! Eeew…not likely to forget that in a hurry!! We adored everything else about Takayama. 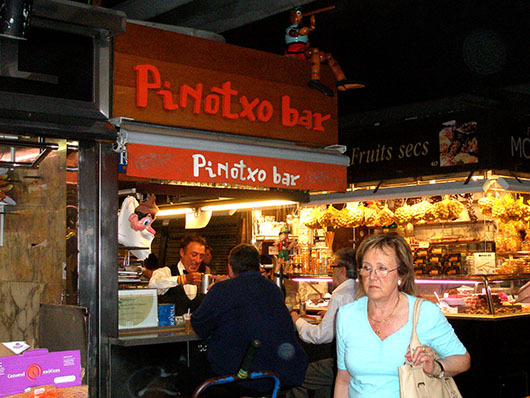 Pinotxo’s bar in the Boqueria market in Barcelona is an institution that has been around for nearly a century. 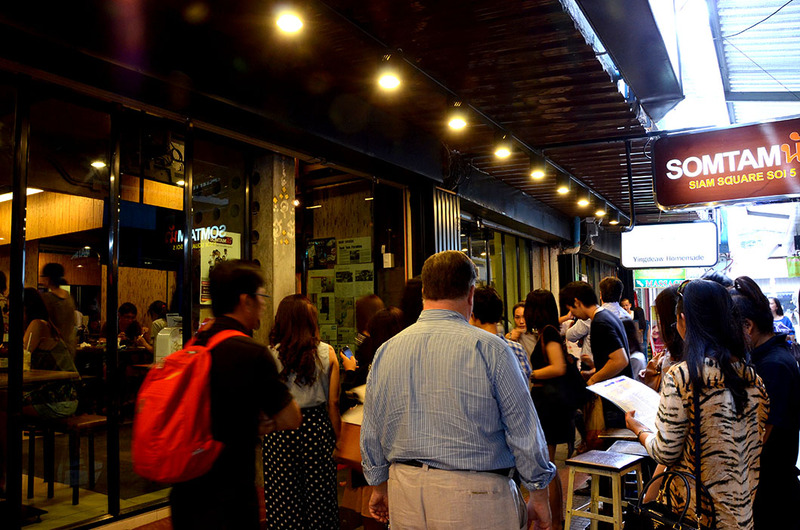 Proprietor Juanito Bayen (pictured) serves up some mean tapas that people line up to sample. I haven’t had zucchini omelettes or Pa Amb Tomaquettes like that since. Or his famous Arroz Caldoso. An experience not to be missed. Equally unmissable is this institution in Paris. 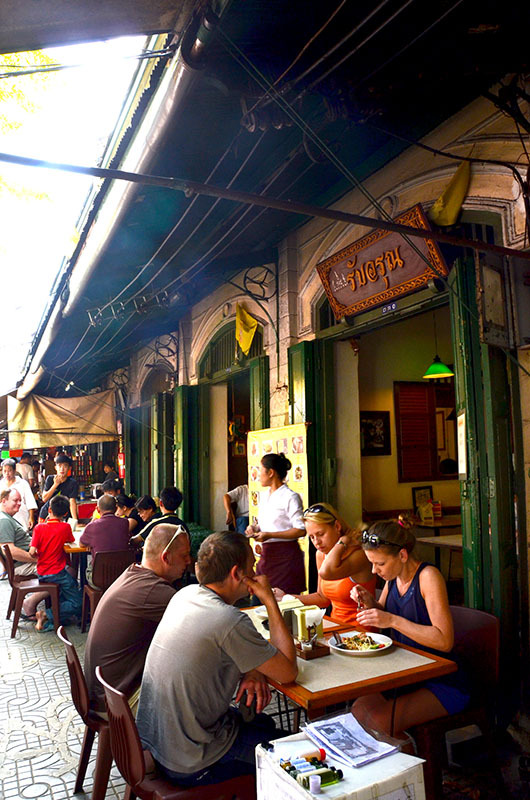 I do not exaggerate when i say that this hole-in-the-wall Fallafel joint in the Jewish quarter of the Marais, serves up the BEST fallafels outside Lebanon (No I haven’t been to Lebanon!). Be prepared for a long wait though. 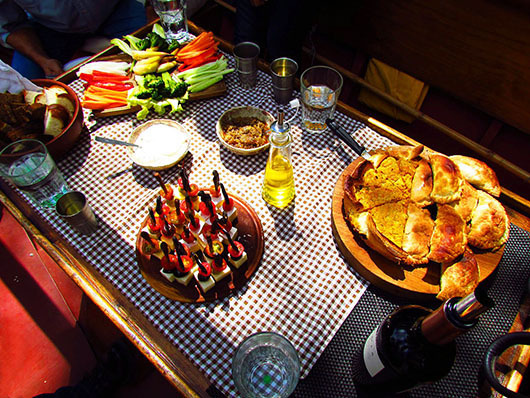 I know some of you have seen this one before, but I couldn’t possibly do a post on lunch and leave out this fabulous al fresco lunch on a boat on the Tigre Delta near Buenos Aires. This was one of our most memorable experiences! Don’t ask me why I still haven’t written about it! But like I said before…….I just plain forgot. Enjoyed the pictures. 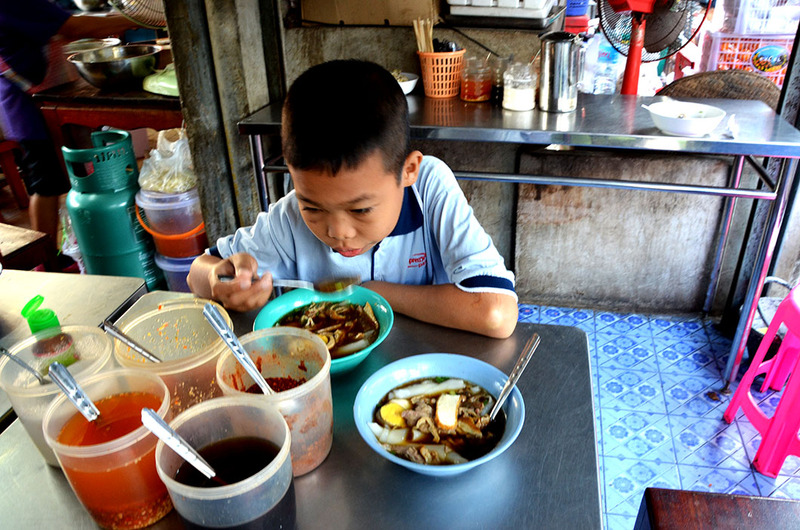 Its so nice to get an idea of different cultures as food is the root of a culture. It certainly is, and we always look forward to eating local as much as we can. Thank you for reading Dilip. Delighted to help keep your obsession alive Rufna 🙂 Thanks for stopping by te check this out. Thanks for sharing these wonderful lunch memories. I felt like I was there too enjoying the scenes and the yummy food. I always seem to forget as well Madhu. These are great though. Amazing! And what I nice quote! thanks for sharing!